Our main weekly services are held in Thornton Church, Main Street, Thornton at 9.45am and at Markinch Church, Kirk Brae, Markinch at 11.15 a.m. each Sunday morning. Holy Communion is celebrated four times a year, in February, May, August and November. The Church has fitted an induction loop for the hard of hearing. Anyone with a hearing aid can switch it to the ‘T’ position and they will be able to hear the Minister more clearly. Our Sunday School meets at 11.30 in the Church Hall, Kirk Brae, Markinch. Parents are encouraged to bring their children into church for the first part of the 11.15am service then the children leave after the Children’s Address and the second hymn. 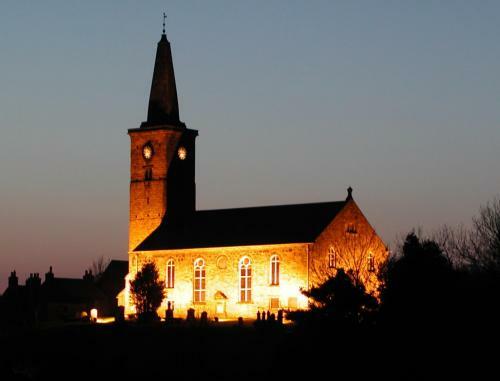 Markinch Church is a beautiful setting for your Wedding, but before dates are finalised you should speak to the Minister to ascertain her own, and the Church’s availability. A pamphlet entitled ‘Preparing for Your Wedding in Markinch Church’ is available from the Minister or Session Clerk. Its contents are contained on the Weddings page. The Sacrament of Baptism normally takes place on the first Sunday of each month. Parents wishing a baptism for their children should contact the Minister giving as much notice as possible.